is now available. For updated informations, registration and abstract submission please contact the conference website. In accordance with the decision of the European Regional Committee of the Bernoulli Society the community of Hungarian Statisticians and Probabilists cordially invites their colleagues to participate in the 29th European Meeting of Statisticians, to be held in Hungary, from 20 to 25 July 2013. It is a great honour for us to host this event which is uniquely the broadest and most prestigeous meeting of the profession in Europe. Hungary traditionally has a strong school in statistics and probability. To hold the EMS 2013 here will help us in strengthening ties with colleagues from Europe as well as beyond the continent and maintaining the high prestige statistics enjoys among mathematicians and other professionals in our country. Two anniversaries make this conference special. The St Petersburg Paradox also has the 300th anniversary and a special session is to be organised around it. Connected to this event we Hungarian probabilists and statisticians wish to commemorate our passed away colleague and friend Sándor Csörgő as well. It is the admitted ambition of the local organisers to provide an inspiring environment to stimulate interaction and collaborations between probabilists and statisticians. It is also a focus of attention to represent properly the ties of European research in statistics and probability with other parts of the world, in particular with the rapidly developing India, China, South-East Asia and Latin America. The organisers are aware of the visa issue and will do thier utmost to limit the effect of this barrier of participation. One of the advantages to hold EMS 2013 in Hungary is that the country is situated in the centre of Europe, thus it is within an easy reach not only from the neighbouring countries but also from all over Europe. Budapest is very well served by flights and fast trains from the rest of Europe. The largely completed Hungarian motorway project endowed the country with one of the most developed motorway network in Central Europe therefore, Budapest and all big cities can be reached quickly by car as well. Budapest is also the centre of cultural life in Hungary. It is a perfect place not only for tourists, but also for foreign visitors attending conferences, for the city has something to offer for everyone with a few hours to spend after work or between meetings. After visiting one of the many famous museums or historic buildings, visitors may enjoy strolling in the Inner City, along the Danube Corso or on Margit Island, stopping to relax in a pleasant coffee-house, a small romantic restaurant or a cosy tavern. Evenings can be spent enjoying the summer entertainment in night spots, or in one of the open-air theatres or concert halls of the city listening to the music of e.g. Bartók, Kodály or Liszt, or perhaps enjoying a folklore performance. Those in search for active recreation can visit Budapest’s famous baths and swimming pools. Hungarian culture offers a great choice of interesting social programs as well. We are absolutely sure that all participants will observe the permanent care of the organizers and traditional Hungarian hospitality in general. The Programme Committee is appointed by the European Regional Committee of the Bernoulli Society. Gareth O. Roberts University of Warwick, Coventry, U.K.
Stephen Walker University of Kent, Canterbury, U.K. The Local Organising Committee is chaired by László Márkus, its members are yet to be announced. The European Regional Committee of the Bernoulli Society is responsible for the organisation of the series of "European Meeting of Statisticians". The current is the 29th such event. You can find further information on the series including the list of the previous EMS-es here. Eötvös Loránd University helps in the technical management of the scientific programme and provides the venue and infrastructure to the event. A professional conference organizer, CONGRESS Ltd. will be charged with local arrangements. With an estimated participation of 300-400 people, our choice for the conference venue is the Eötvös Loránd University (ELTE) Congress Center. ELTE Campus is situated in a picturesque environment on the right bank of the Danube, in a walking distance from the city center. 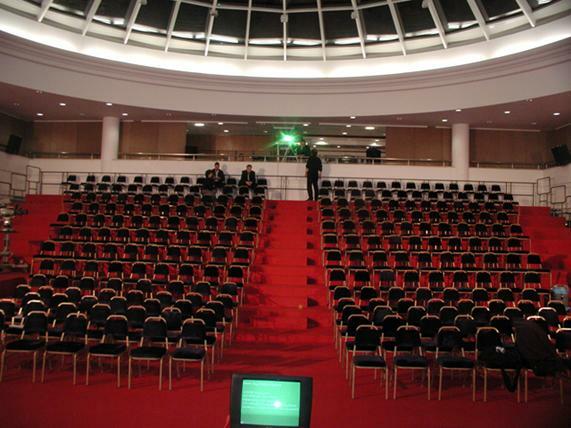 This venue offers a wide range of modern, well-equipped session rooms from 40 to 500 seats. All lecture rooms to be used for the conference are air-conditioned. The local organizers will make block reservations at several hotels and hostels of different categories with easy access to the Conference, providing special conference rates for the participants. Below please find some of the possible choices with approximate rates. The date of the conference is 20-25 July 2013 (Saturday-Thursday). Clashes with other BS or ISI sponsored events such as SPA Conference in Boulder, Colorado, 29 July - 2 August, ISI Assembly in Hong Kong 24-31 August, etc. can be avoided this way, and cheaper air fare is eventually available when Saturday is included in the stay. The commemorative sessions are expected to take place on Sunday. The registration fees will correspond to the average rate of the previous conferences. All services traditionally included in the conference’s registration fee will be provided. The registration fee will be waived for special invited speakers. The organisers will consider reductions for delegates from developing countries if appropriate sponsorship can be secured. The student registration fee (subject to proof of eligibility) will be around 50% of the regular fees, as usual. The funds to be raised from sponsors and exhibitors will primarily be used for students’ scholarship. 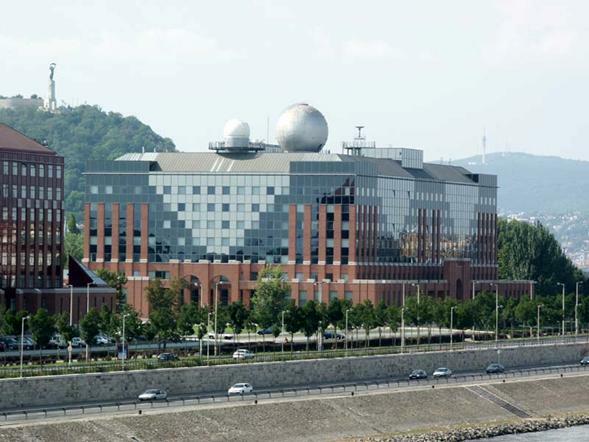 The Welcome Reception will be held at ELTE University Congress Center, the meeting venue. Organ concert organized exclusively for the participants of the EMS 2013 will take place at St Stephen’s Basilica. The concert will surely be an unforgettable experience for all. 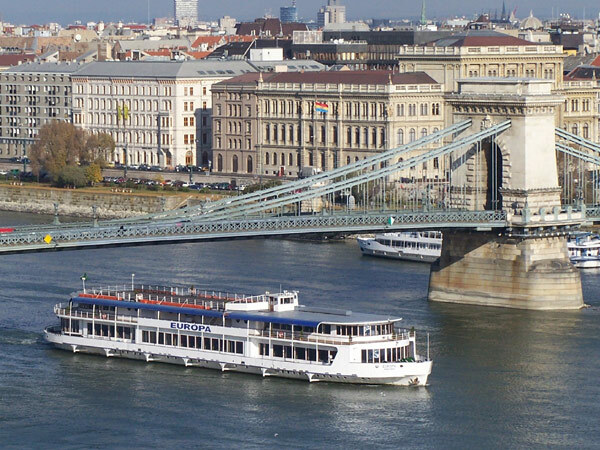 Cruising and having dinner on the River Danube, participants will enjoy the magnificent views of historical Budapest. Sailing out in the setting sun and back with glistening lights one will catch a glimpse of Margaret Island, the Parliament, Hotel Gellért, the Liberty Monument, the graceful bridges and a number of stunning buildings of Budapest, while tasting traditional Hungarian and exquisite international meals and drinks. The conference will mainly be advertised electronically, i.e. through a very informative and often updated professional web site, and by frequent e-mail announcements to be sent out to potential participants using international databases, the mailing lists of previous conferences and our own records. Advertisements in the calendars of main journals and announcements at other international conferences will also enhance the publicity of the conference.